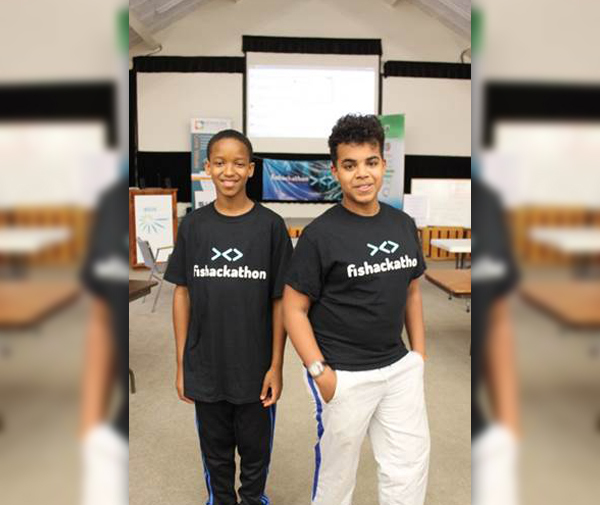 Bermuda coders and science enthusiasts of all ages convened at the Bermuda Institute of Ocean Sciences [BIOS] last weekend to develop tools to address sustainable fishing issues. 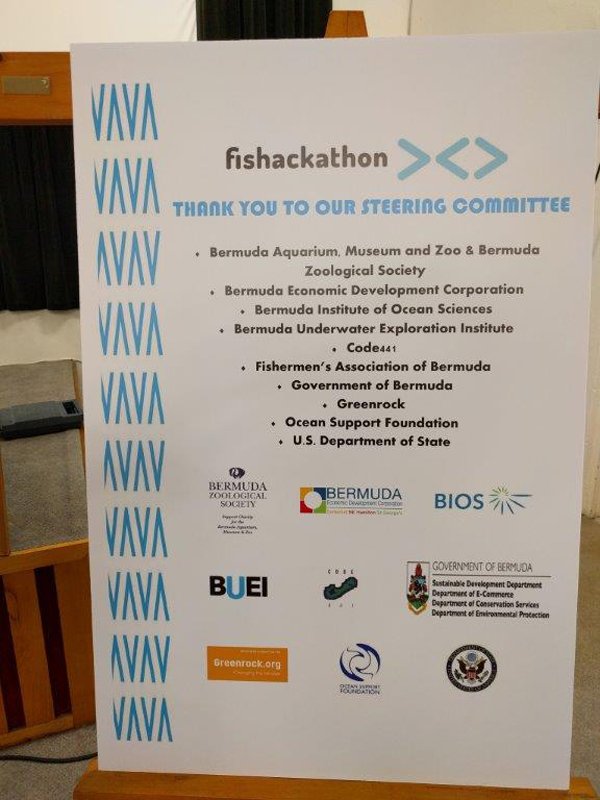 It was the first time that Bermuda has participated in the U.S. Department of State’s annual Fishackathon, which began three years ago, but it won’t be the last time, according to Consul General Mary Ellen Koenig, who spearheaded the event. 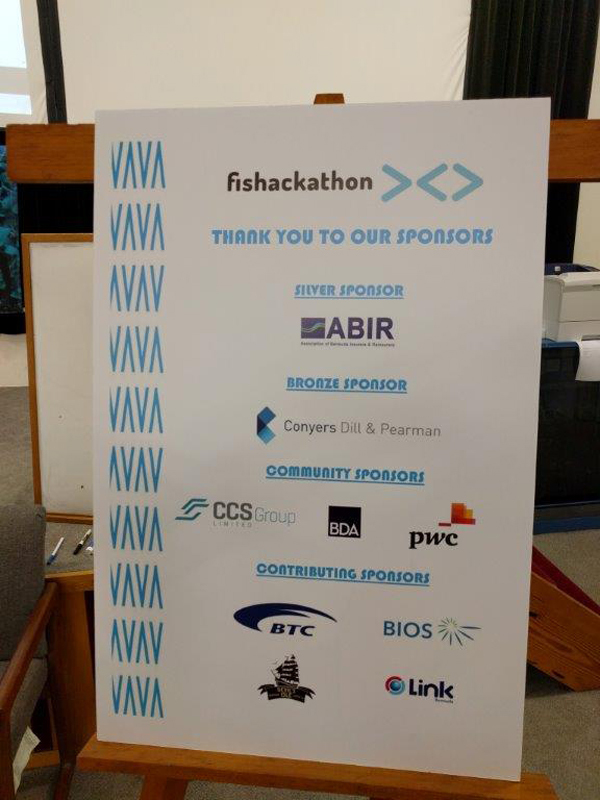 Mrs. Koenig noted, “Considering that this was our first Fishackathon, I think the steering committee, sponsors, judges and, of course, the hackers agreed that the effort was well worth it. 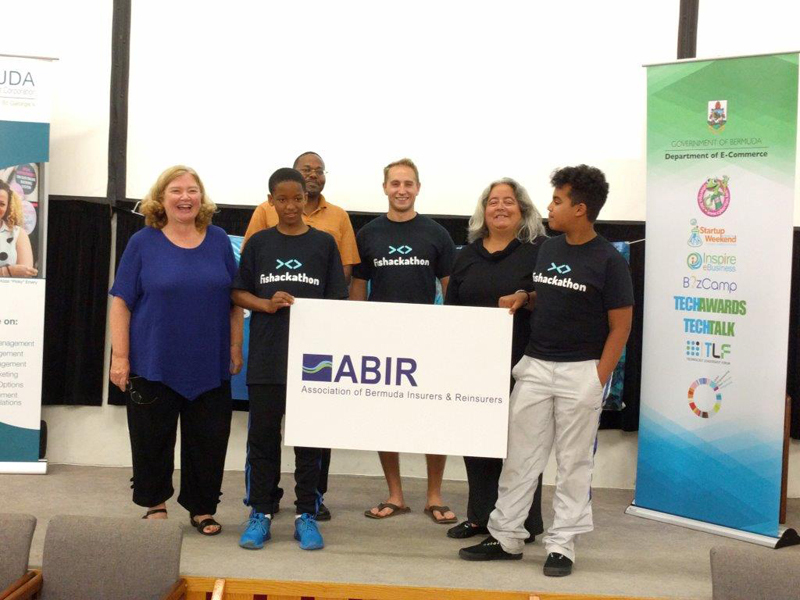 Fishackathon Bermuda was made possible through the generosity of local sponsors, including ABIR, Conyers Dill & Pearman, CCS Group, the Bermuda Business Development Agency, PwC, BTC, BIOS, BAMZ, BUEI, Devil’s Isle, and Link Bermuda. 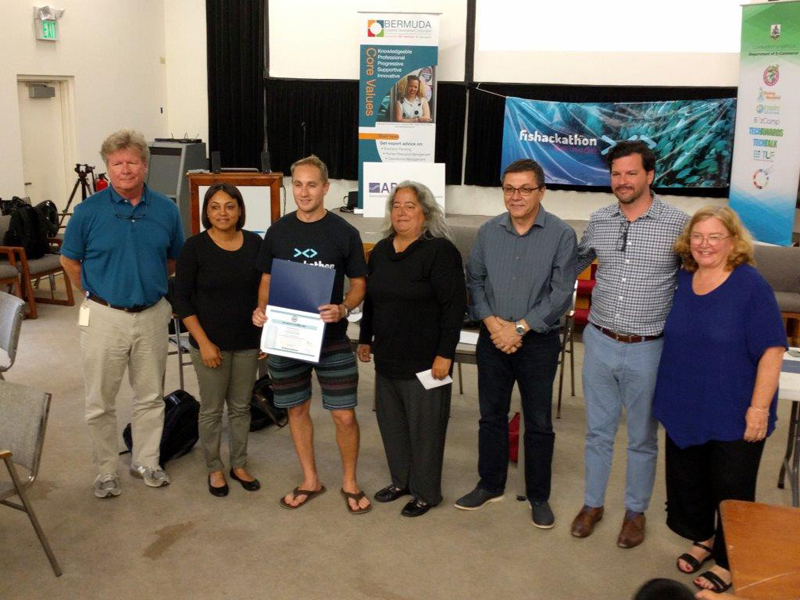 Each of the three winning teams addressed one of the nine different fisheries challenges which were being “hacked” at the same time in 42 other locations around the world over the Earth Day weekend. Bermuda’s first place winner was Jonathan Barker, a professional software engineer at Endurance; his project will go on to compete in the global Fishackathon competition which has a grand prize of a $20,000 grant to develop the winning app design. He addressed a challenge focusing on the municipal fisheries sector, i.e. small-scale fisheries operating within municipal waters [15km] from the shoreline. Although the original problem statement was posed for the ASEAN countries, specifically the Philippines, he applied the solution to Bermuda. His app would enable the user, based on his geographical location, to access information on Bermuda’s fishing rules and regulations, including the coordinates of the island’s marine protected areas. 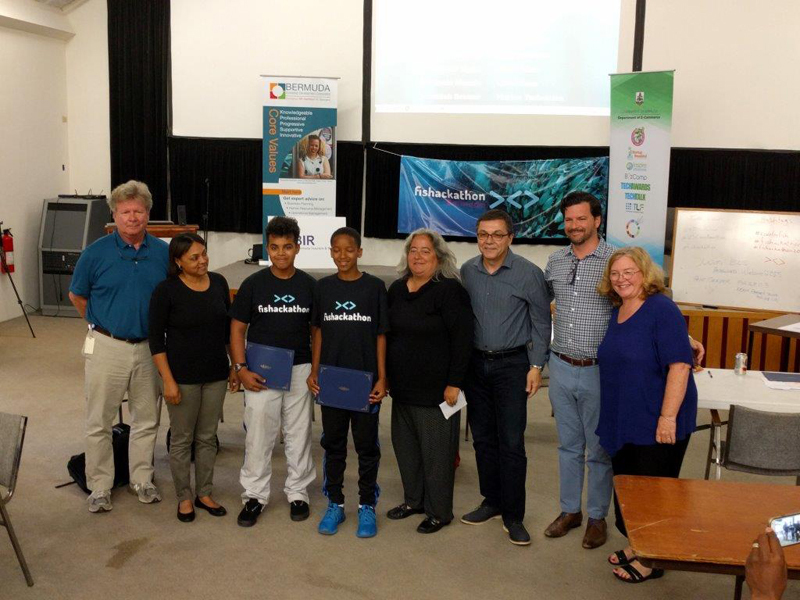 The second place team consisted of Kairo Morton and Yassine Chentouf, Somersfield Academy students. The pair, 12 and 13 years old, impressed the judges and audience with their sophisticated presentation and innovative solution to the global challenge of “ghost gear.” They created an app that would allow anyone finding ghost gear – fishing gear that has been lost – to enter identifying features into a centrally-held data portal that would identify trends, gear type, and origin. The third place winner was Harry Matthie and his team, Carp-Enders. They addressed a challenge dealing with invasive species [specifically Asian carp migrating from the United States to Canada via waterways] with a design that focused on capturing large numbers of fish. Consul General Koenig thanked the steering committee for its hard work and direction. Helping to plan the two-day event were representatives from the Bermuda Economic Development Corporation; the Department of E-commerce; the Department of Environmental Protection; the Sustainable Development Department; the Department of Conservation Services; the Bermuda Aquarium, Museum and Zoo [BAMZ]; the Bermuda Zoological Society; the Bermuda Institute of Ocean Sciences [BIOS]; Greenrock; the Ocean Support Foundation [OSF]; the Bermuda Underwater Exploration Institute [BUEI]; the Fishermen’s Association of Bermuda [FAB]; and Code441. She also expressed appreciation to the five judges – Ms.Leila Madeiros, Senior Vice President, Deputy Director and Corporate Secretary of ABIR; BIOS president and CEO, Dr. William Curry; Dr. Tammy Trott, Senior Marine Resources Officer, Department of Environmental Protection; Mr. Ronnie Viera, COO, First Atlantic Commerce and member of the E-Commerce Advisory Board; and Mr. Michael Branco, CEO of Fireminds Ltd.
Mrs. Koenig also acknowledged the technical expertise of those who presented the challenges to the hackers – Dr. Ian Walker, Principal Curator/Veterinarian, Bermuda Aquarium, Museum and Zoo; Dr. Joanna Pitt, Marine Resources Officer, Department of Environmental Protection; and Mr. John Paul Skinner, Director of Ocean Academy, BIOS. 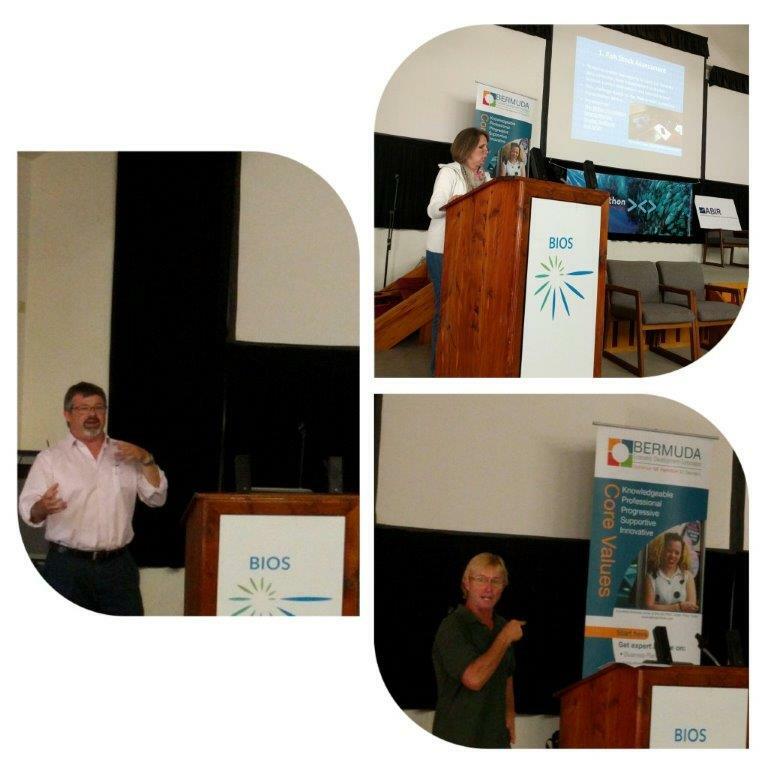 Presenting the problem statements to the coders were Dr. Joanna Trott, Dr. Ian Walker, and Mr. JP Skinner. 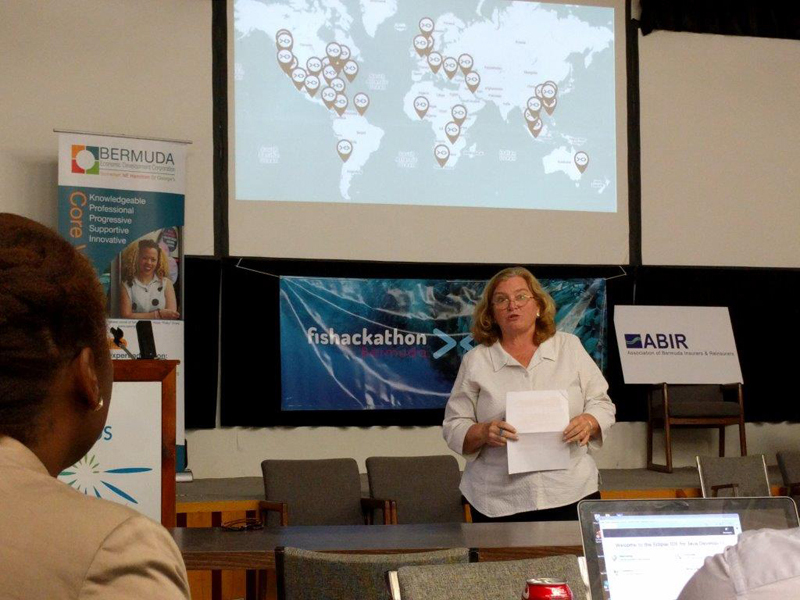 Consul General Mary Ellen Koenig welcomes the hackers to Fishackathon Bermuda 2016. Fishackathon Bermuda 2016 Steering Committee. Consul General Koenig and Ms. Leila Madeiros of primary sponsor ABIR with Bermuda’s first, second, and third place winners. 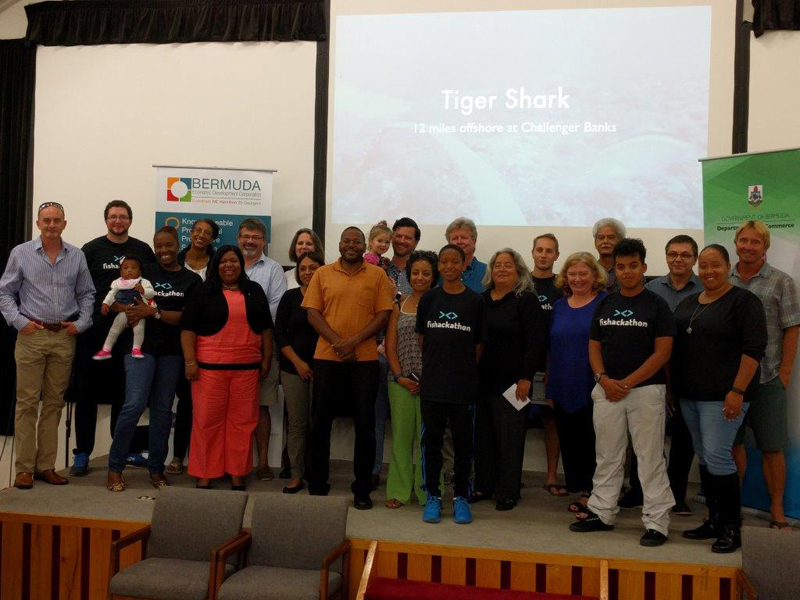 Bermuda’s Fishackathon team: the winners, the judges, the presenters, the sponsors and the steering committee. First place winner Jonathan Barker, a professional software engineer at Endurance, with Consul General Koenig and the judges. Second place winners Kairo Morton and Yassine Chentouf with the judges and Consul General Koenig.